Hotelcloud | Hotelcloud partners with the Maranatha Group and becomes the exclusive e-concierge solution for the 41 hotels of the group. Hotelcloud partners with the Maranatha Group and becomes the exclusive e-concierge solution for the 41 hotels of the group. 23 Jun Hotelcloud partners with the Maranatha Group and becomes the exclusive e-concierge solution for the 41 hotels of the group. 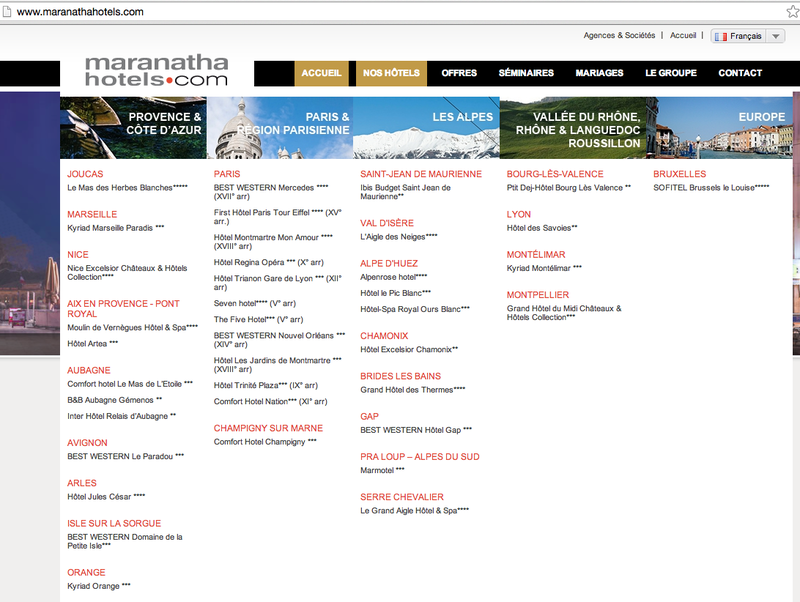 Hotelcloud is extremely proud to partner with the Maranatha Group, the 14th largest hotel group in France. The Maranatha group has been growing extremely fast over the past years, diversifying its assets from 3-star hotels to luxury establishments, with a very innovative acquisition strategy. After two successful Hotelcloud installations at the Grand Aigle Hotel & Spa and the Grand Hotel du Midi, the Maranatha Group and Hotelcloud have decided to conclude a strong partnership: Hotelcloud solution has been chosen to become the excusive e-concierge application for all hotels of the group. Hotelcloud is perceived as an extremely powerful tool to better promote hotels services and enable upselling. It also adds value to hotels existing marketing tools (such as websites) by helping guests preparing their stays or ordering local activities. Of course, Hotelcloud works closely with each marketing department to make sure objectives are perfectly met. Each hotel application is unique ! Six properties will be equipped by the end of June, including the Seven Hotel in Paris and the newly opened 5-star Jules Cesar hotel in Arles. About 20 properties will be equipped by December 2014.